Fifteen years ago today, I was eating blueberries. How do I know? Because 15 years ago today I was eight weeks pregnant with my older son, and all I craved during my first trimester were blueberries. I ate at least two pints of blueberries a day for the first three months of my pregnancy. Alison's favorite breakfast with blueberries: "Oatmeal + blueberries + agave nectar + cinnamon. There are only 80 calories in a cup of blueberries and it gives me fiber and vitamin C. And my kids love the flavor combo." Most unusual blueberry dish Alison's ever tasted: "Blueberries on pizza!" Alison's pregnancy cravings: "Pickles. When I was pregnant I had to ask the deli counter if I could eat one while waiting for my sandwich, and another for after. Ellen (DeGeneres) even teased me about it by giving me a massive tub of pickles. It was hilarious." Most of the fresh blueberries I buy get washed and eaten out of hand, although occasionally I have some left over for baking (try the best blueberry muffins in the world). But I've been looking for ways to incorporate more blueberries into our meals. Turns out blueberries and chicken were meant for each other. 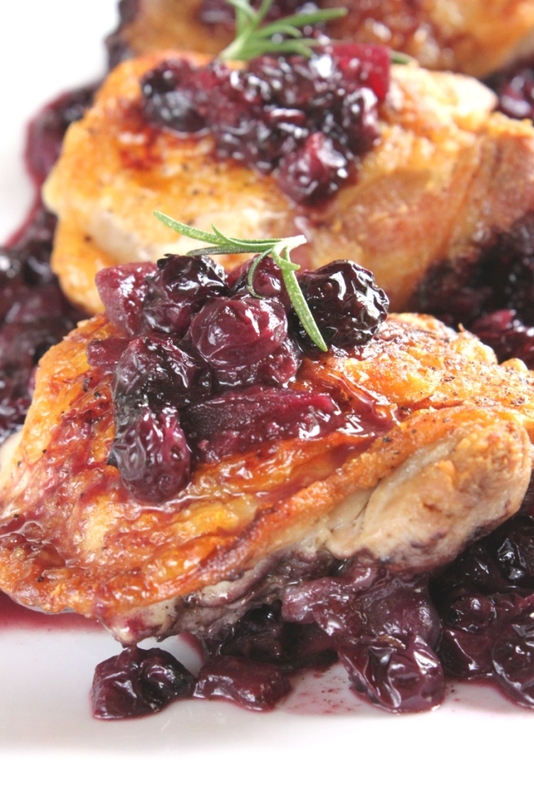 Try this simple recipe combining roast chicken thighs, fresh blueberries, white wine, and rosemary - the sauce has a sweet-and-sour fruity tang my whole family loved. Thanks to the Blueberry Council for sponsoring this post. My mother thanks the Blueberry Council too - she's been begging me for more chicken recipes. Opinions and recollections of pregnancy cravings contained within this post are, of course, my own. Follow the Blueberry Council on Facebook, Twitter, Pinterest and YouTube for more blueberry inspiration. Chicken and blueberries are a match made in heaven. 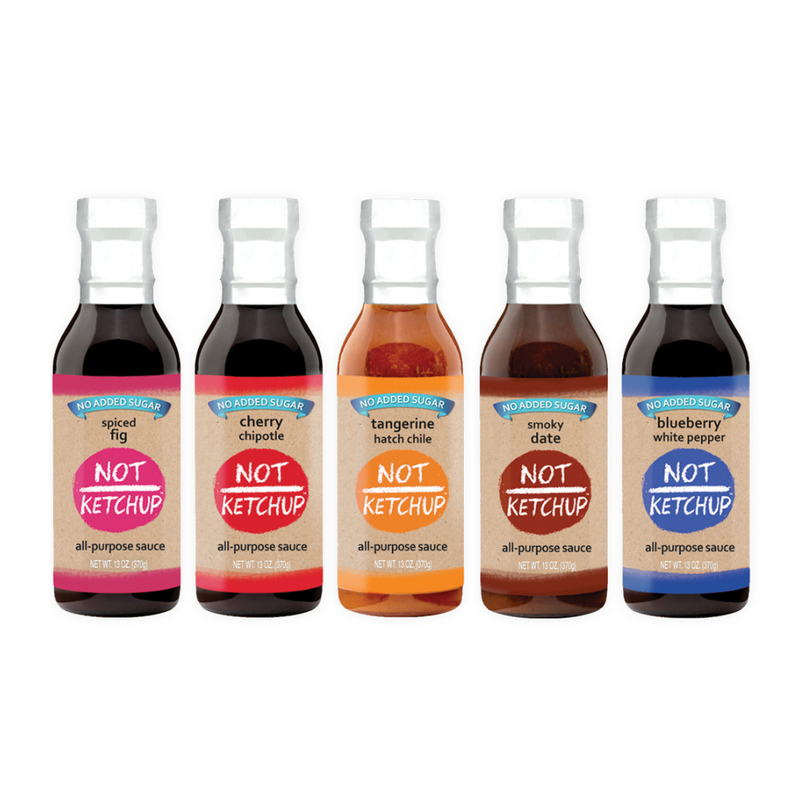 The tangy sauce tastes delicious and looks beautiful drizzled over the crispy-skinned chicken thighs. Preheat the oven to 350 degrees F.Sprinkle the skin side of the chicken thighs generously with salt and pepper. Put a large oven-proof skillet on the stove over medium-high heat. When the pan is hot, add the chicken thighs skin side down. Sear without moving at least 8-10 minutes, until the skin is a deep golden brown. Remove the chicken thighs from the pan and put them on a plate.Pour off all but 1 Tablespoon of the chicken fat in the pan, then add the butter and onion. Cook the onion about 4 minutes, until it is softened and starting to brown around the edges (if it cooks too fast, turn down the heat a little). Add the wine, vinegar, mustard, rosemary, and blueberries. Bring the blueberry mixture to a boil and let it cook about 10-15 minutes. The fruit will start to pop and the mixture should start to thicken and reduce - it won't be thick, but it shouldn't look incredibly watery.Put the chicken thighs back in the pan, skin side up this time, nestling them on top of the sauce. Try to keep the blueberry mixture off the chicken skin so the skin can crisp in the oven - if you bathe it now in the sauce it will taste good but the skin won't crisp and will turn out soft and rubbery.Put the skillet in the oven and roast the chicken for another 45 minutes. When the chicken is done, let it rest on the counter 5 minutes before serving. To serve, carefully remove the chicken thighs from the pan, put them on a platter, and drizzle the blueberry sauce around them and down the middle of each piece of chicken, leaving some of the crispy golden skin showing. Wow this looks so good. When blueberries are in season, we pretty much eat them like a bowl of peanuts at a bar. Hopefully I can hide enough to give this a try. @Jeri same in my house - I have to buy 8 or 10 containers at a time if I want to have some left for recipes like this.